On Wednesday, December 12, all library’s customer service desks are closed due to the staff development day. 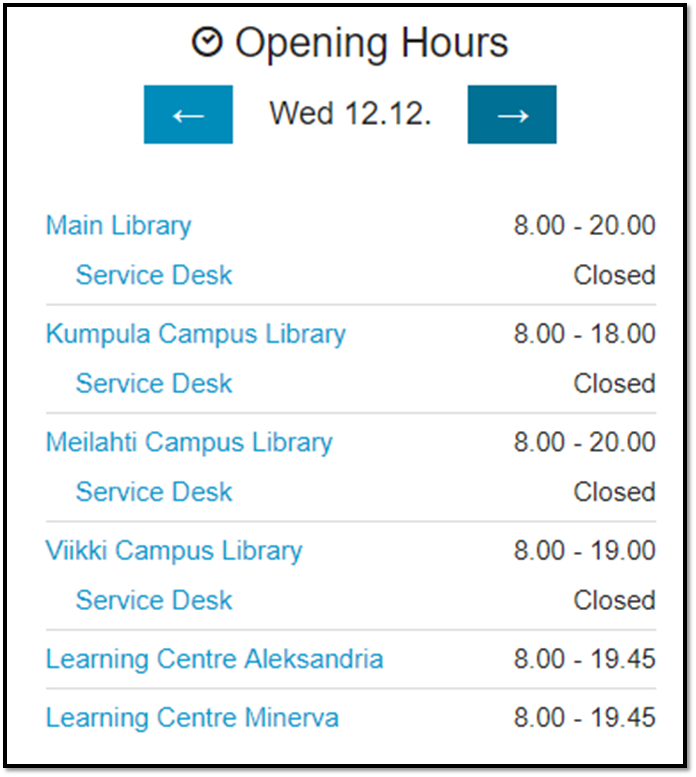 Library premises are open and available on a self-service basis as follows; Main Library Kaisa House 8-20, Kumpula Campus Library 8-18, Meilahti Campus Library 8-20 and Viikki Campus Library 8-19. At the Self Service Library you can borrow and return material as well as use work stations and study. There will be phone service from 10 am to 7 pm. Call 02941 23920. 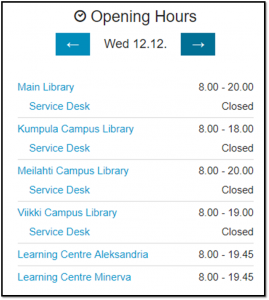 Additional information on Self-Service Library online. Opening hours for Christmas season start on Monday, 17 December 2018. 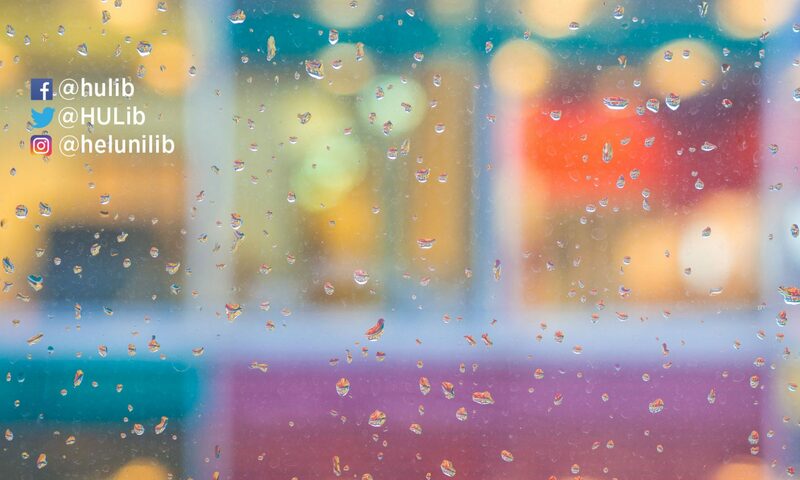 Check the opening hours online.